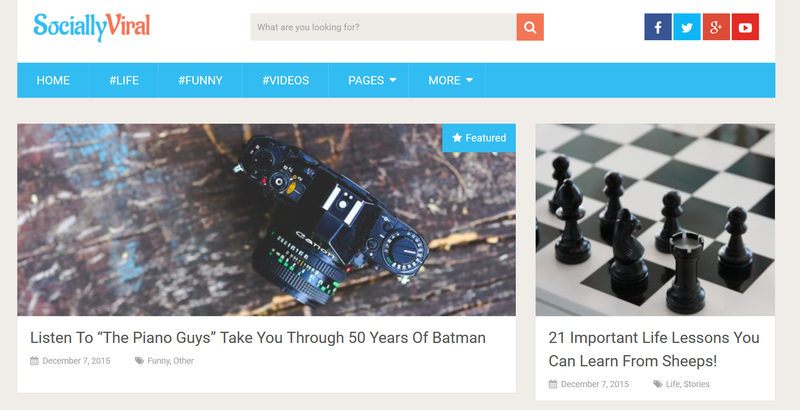 SociallyViral is a fresh and engaging theme designed by MyThemeShop, a well-established name in the WordPress market. In this theme the focus is on a very readable and content-focused design where visitors find it easy to share content across a variety of social media. The theme can show large menus (called ‘mega menu’) on the top so that a visitor can find more relevant content without having to click around in search for related posts or categories. Trending posts and featured articles are also used to direct the visitor to parts of the website that the theme owner wants to bring more attention to.